Dani Pettrey’s Alaskan Courage series has me hooked and apparently others too since I had to wait for others to finish her novels before I could get my hands on them at the library. 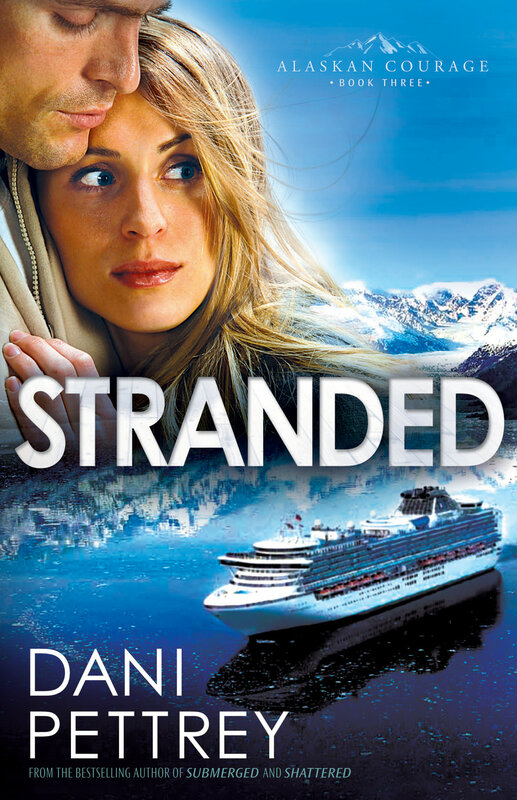 Stranded is book number three and filled with adventure while looking at . . . well, not giving away spoilers! Darcy St. James had been the pesky reporter in book #2 (Shattered). She had helped prove Reef’s innocence while falling in love with the McKenna family . . . and particularly Gage. She had given up investigative reporting until an urgent call from her old partner compels her to join the staff of a cruises ship as a travel reporter to uncover some mystery. But when Darcy arrives, her friend suddenly disappears and the intrigue deepens. Gage McKenna has been contracted to lead expeditions for the cruise line and is shocked to find himself coming face to face with Darcy. The fact that she’s a reporter doesn’t make it easier. The fact that she’s investigating a hidden crime for trouble she’s unaware of, deeply concerns him. Eventually Gage and most of McKenna clan are involved in solving this mystery . . . and keeping Darcy safe. The deeper the trouble goes, the more Gage is forced to admit two things–he desperately needs God and he’s in love with the pesky reporter. But can he find her, alive in time to tell her so? Beautiful scenery and adventure are hallmarks of Dani Pettrey’s writing in this series and her characters become much-loved as you follow their stories, love and faith. I don’t think this book would disappoint anyone seeking a romantic suspense that will keep you guessing.